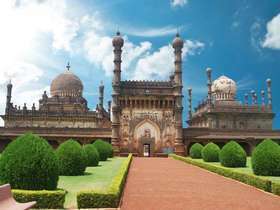 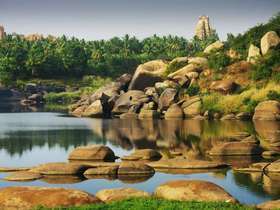 South India is a magnificent land rich in striking temples, misty hill stations, tropical backwaters and stunning beaches. 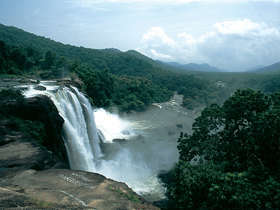 It is also the habitat of tigers, elephants and crocodiles. 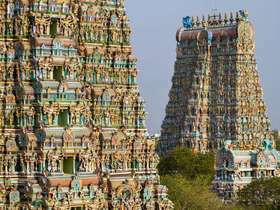 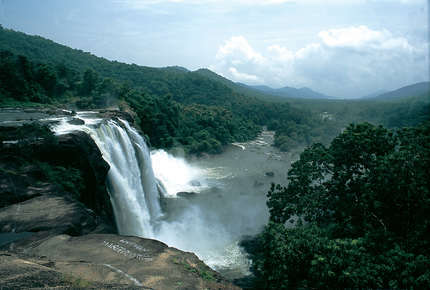 With such a range of opportunities the question as to where to travel in South India is far from straight forward. 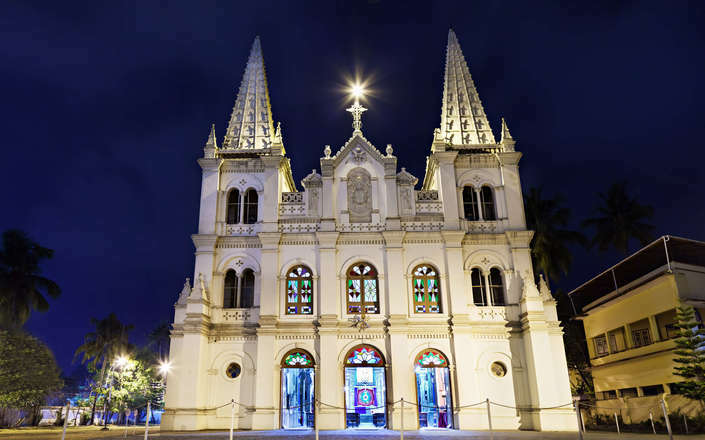 Corinthian’s destination guides and suggested itineraries are a good starting point, but we would encourage you to take advantage of our tailor-made holidays service. 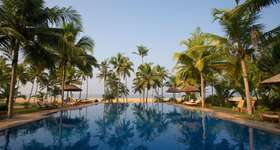 With their vast accumulated knowledge, and years of experience in designing luxury holidays in Kerala and south India, our destination specialists will ensure that your holiday experience is seamless from the moment you contact us. 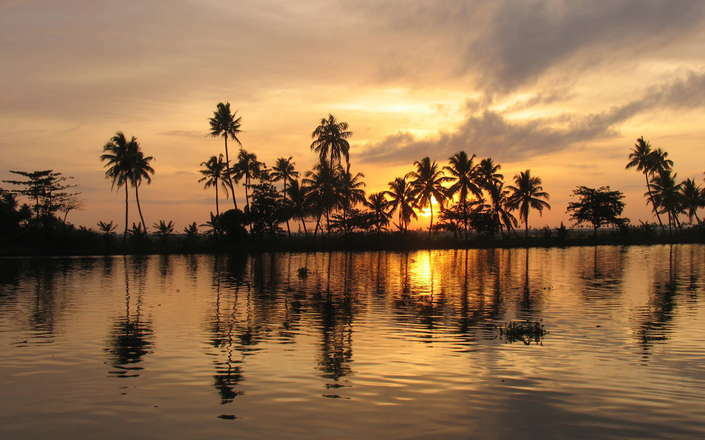 Kerala is cradled between the Arabian Sea and the craggy hills of the Western Ghats and celebrated as the spice coast of southwestern India. 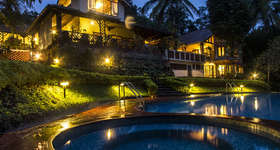 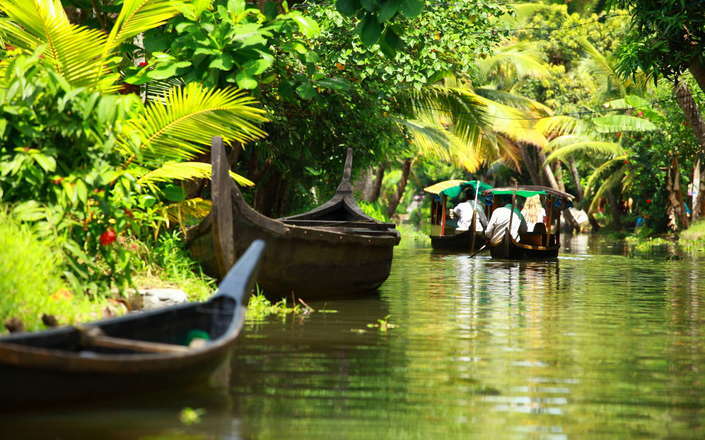 A holiday in Kerala offers the prospect of lazy days on tropical beaches, cruising through serene backwaters, walking in emerald green hills covered with tea, and learning about Ayurveda, the ancient Indian system of medicine. 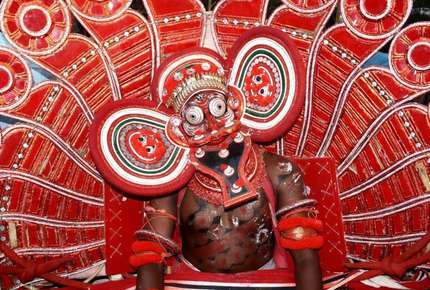 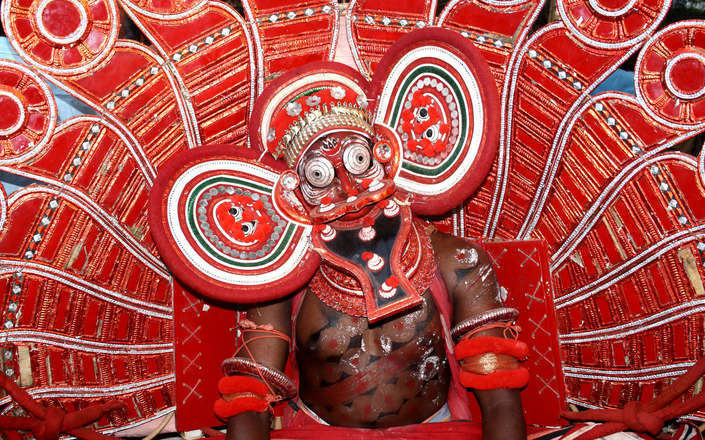 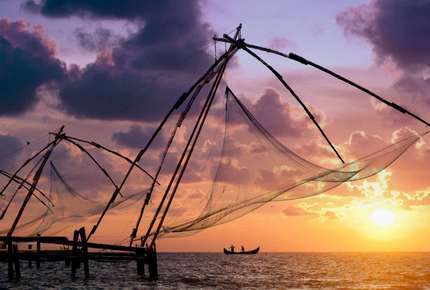 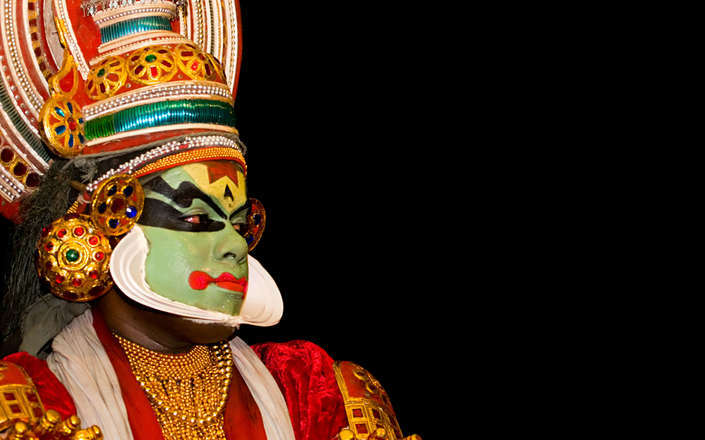 Cochin, the main gateway for your Kerala holiday, is a melting pot of cultures. 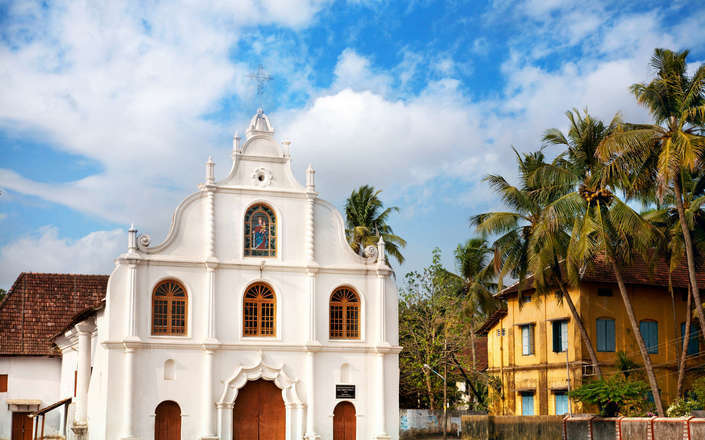 A walk through the narrow streets of Fort Cochin reveals Portuguese built churches, Dutch Palaces and old warehouses used by spice traders. 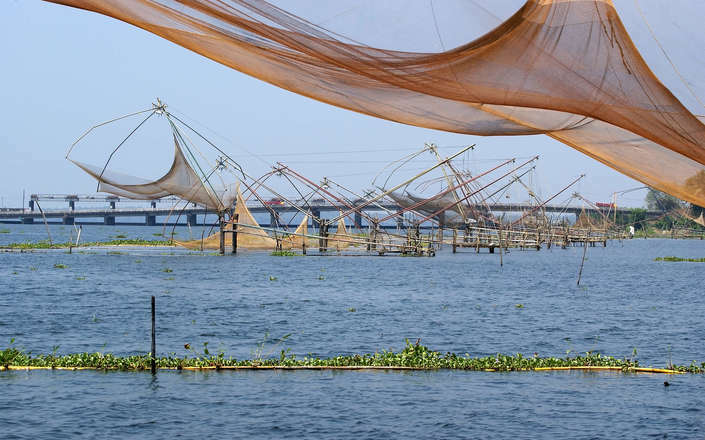 Visit the ancient Jewish quarter before taking a harbour cruise to see the celebrated Chinese fishing nets. 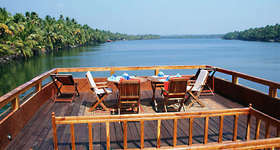 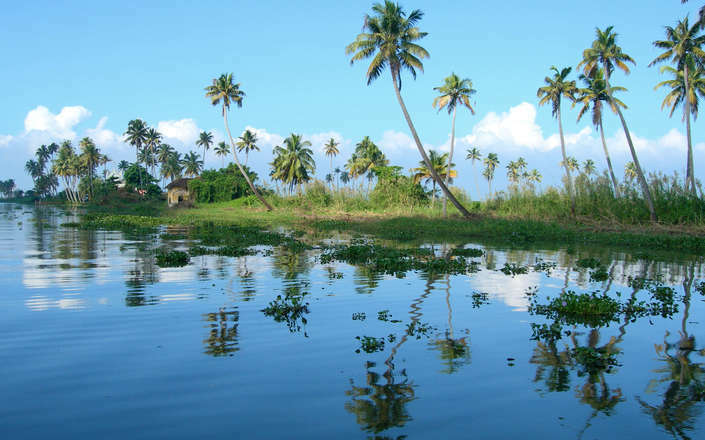 Inland, Alleppey is famed for its alluring backwaters. 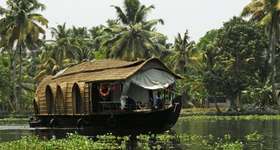 Here, spend a night on board a traditional houseboat and explore narrow canals that offer visitors a window into traditional village life. 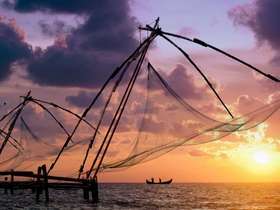 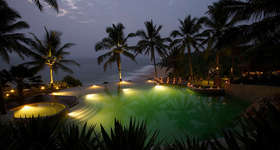 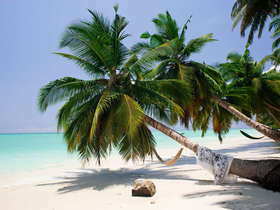 Further south, along the coast are the popular tropical beaches of Kovalam; and between Alleppey and Cochin is the fishing village of Mararikulam with its idyllic palm-fringed beaches away from the madding crowds. 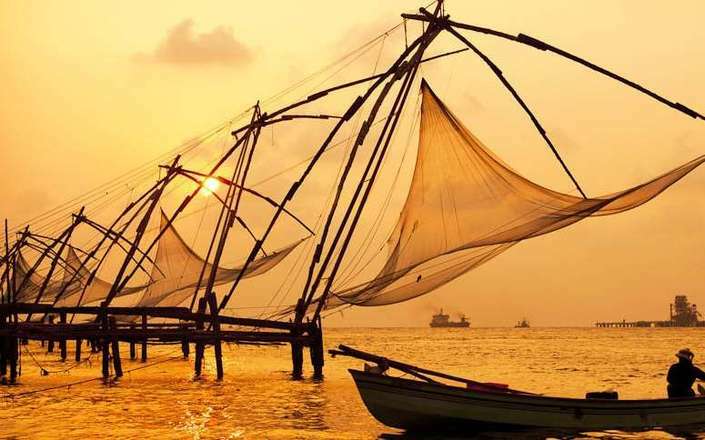 The astonishingly beautiful districts that lie to the north of Cochin are relatively undiscovered and enjoy a distinct culture revealing influences of the spice trade. 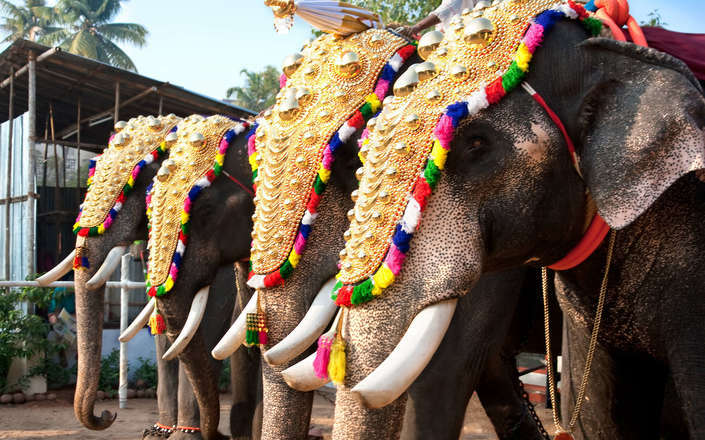 Enjoy exhilarating treks from Wayanad, a beautiful hill country with mist covered mountains in the heart of north Kerala and a convenient base to take jeep safaris through Muthanga Wildlife sanctuary in search of wild elephants. 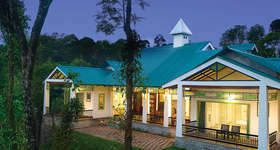 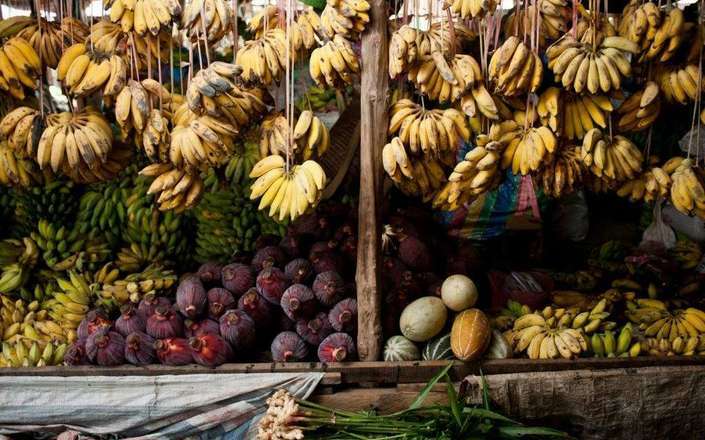 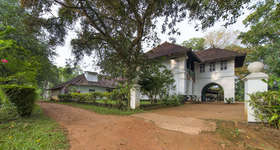 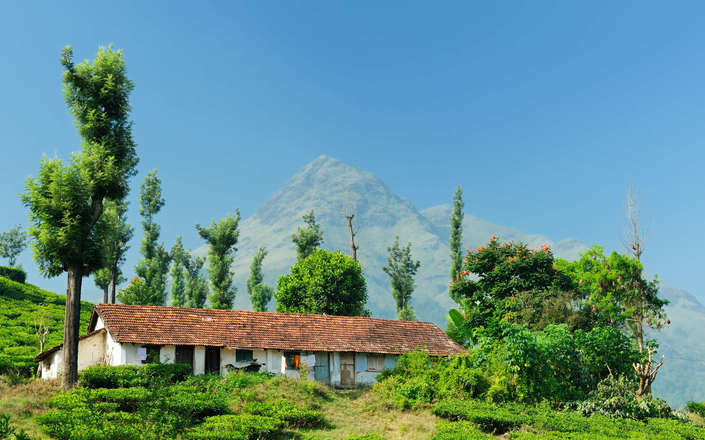 To the west of Wayanad, Tellicherry is a historic trading post and is famous for its Mappila cuisine that reveals the culinary influences of Arabian merchants on north Kerala. 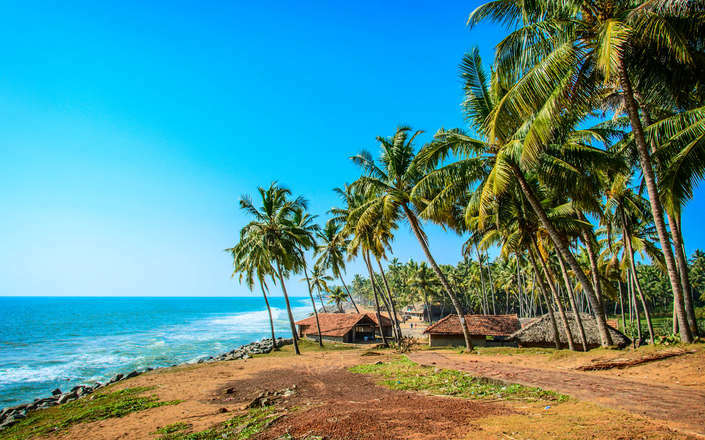 North of Tellicherry, Bekal and Kasargod are blessed with expansive, unspoilt golden-sandy beaches still largely unknown to mass tourism and are a convenient base from which to discover the north Keralan backwaters and the imposing Bekal Fort – Kerala’s largest fort. 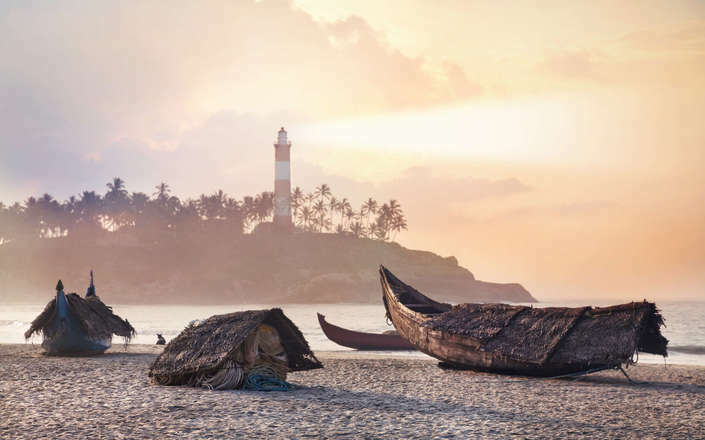 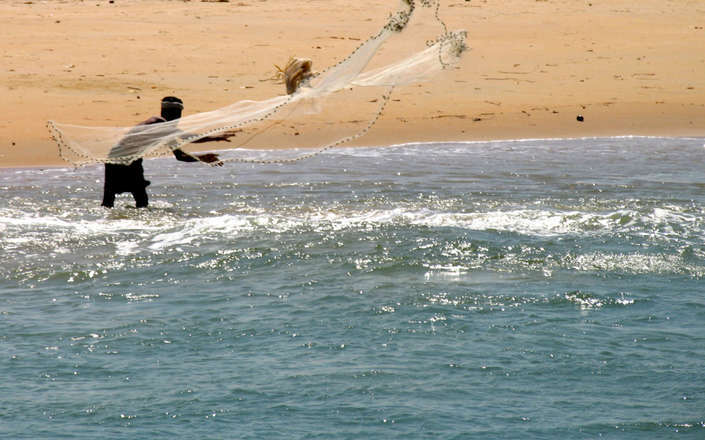 On Kerala’s far north, Bekal & Kasargod are blessed with unspoilt beaches that are still largely unknown to mass tourism. 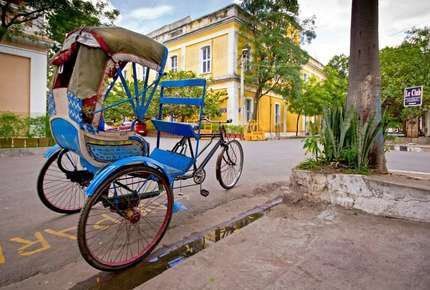 Built upon the spice trade, this historic district reveals influences of colonial powers whilst blending seamlessly with the present. 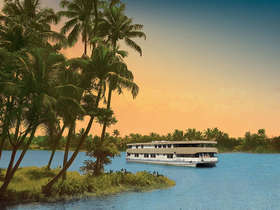 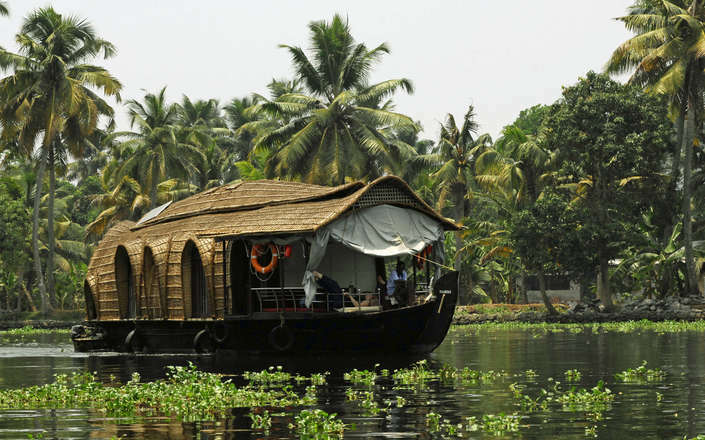 A network of rivers interwoven with lakes and canals, the backwaters are among the top 10 things to experience in India.